Of all the acts on the GF14 bill, Leroy Powell might be the biggest mystery to many fans. You may not know his name yet, but you definitely will after next weekend. You almost certainly already know his music too, whether you realize it or not. 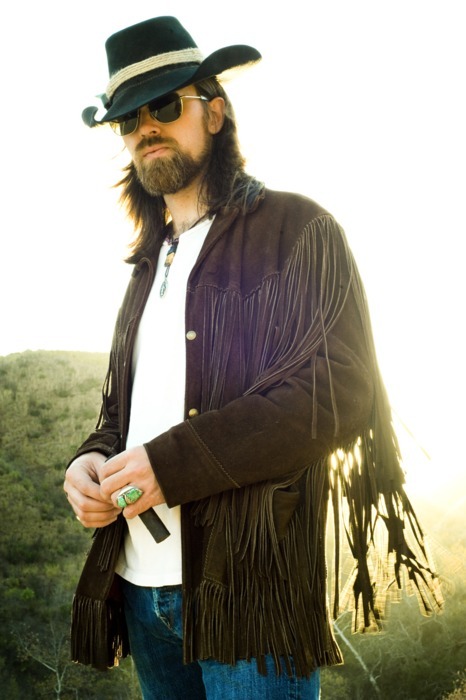 Powell is a highly demanded producer, songwriter and session musician that has worked with the likes of Sturgill Simpson, Whiskey Myers and most infamously Shooter Jennings. Powell’s brand of music is honky-tonk throwback with heavy doses of ear-splitting rock n’ roll. He calls his backing band the Messengers, and he is coming down to Texas to deliver a message at GF14. Jump on the Powell bandwagon now and get ready for a grooving set of country, rock, soul and more. This guy is a certified badass that is respected throughout the industry by all of your favorite artists…come see why at GF14. a year and am nervous about switching to another platform. I have heard good things about blogengine.net. Greetings, I do believe your blog might be having internet browser compatibility issues.When I look at your blog in Safari, it looks fine but when opening in IE, it’s got someoverlapping issues. I merely wanted to provide you with a quick heads up!Apart from that, great website! Thank you for any other magnificent post. Where else may anyone get that type of info in such an ideal method of writing? I just want to mention I’m beginner to weblog and seriously enjoyed this website. Very likely I’m planning to bookmark your blog post . You definitely come with amazing articles and reviews. Thanks for revealing your blog. Hiya, I am really glad I have found this info. Today bloggers publish only about gossips and internet and this is actually annoying. A good site with exciting content, this is what I need. Thank you for keeping this website, I will be visiting it. Do you do newsletters? Can’t find it. I am no longer sure the place you’re getting your information, however good topic. I needs to spend some time studying more or understanding more. Thanks for fantastic information I was searching for this info for my mission.